Where to run?Where to run? From May 26th to May 29th run wherever you want in the world to help your team winning LaLiga | Run. Running 5,5km gives 1 point to your team, 14,8km gives 3 points to your team. Run for your team to win LaLiga | Run. From Friday May 26th at 00:00 until Monday May 29th 23:59, go for a run choosing 15 or 40 loops to a football field, it means 5,5km or 14,8km. The shorter distance gives 1 point to your team and the longest 3 points. In order to run and make your run valid to add points you need to choose your favorite team, join the race and add your favorite running app that you use for running (Garmin, Runtastic, Polar, Endomondo, Nike+, etc) to Runator. Run with your running app or gps watch and share your bib number and photos using the hashtag #LaLigaRun. Runator is the global runner community. The app to share running experiences and Social running. Runator syncs the runs from the most popular running apps and gps watches like Garmin, Runtastic, Polar, Endomondo, Nike+, etc. In addition, LaLiga | Run in Runator will show you the gallery of photos, a chat with all the other participants, the leaderboards and everything that is happening around the race. David Albelda Aliqués is a Spanish retired footballer who played mainly for Valencia during his extensive professional career, being team captain for over a decade and appearing in 480 official games. 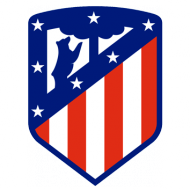 Kiko, is a Spanish retired footballer who spent most of his career with Atlético Madrid. A centre forward with tremendous technical ability and field vision. In ten La Liga seasons, he amassed totals of 271 games and 60 goals. a) If you have one, go to the next step. b) If you don’t have one, we will recommend you some. a) Run 5,5km = 1 point. b) Run 14,8km = 3 points. Meet the rest of the participants and preparer the race day. The Primera División, commonly known as La Liga and as La Liga Santander for sponsorship reasons, is the top professional association football division of the Spanish football league system. Administrated by the Liga de Fútbol Profesional (LFP), La Liga is contested by 20 teams, with the three lowest-placed teams relegated to the Segunda División and replaced by the top two teams in that division plus the winner of a play-off. © 2018 SocialRun S.L. All rights reserved. Do you have a running app? Which running app should I choose? No worries, download one of these running apps in your smartphone to track your runs. The Nike+ Run Club App tracks your runs and helps you reach your goals -- whether it’s running your first race, or setting a new personal record. From first-time runners to marathon veterans, you’ll get the measurement and motivation you need to run farther and faster than ever before. Get the most out of your runs, walks, rides, and more with our top rated fitness tracker and personal training app. With Endomondo, you can track all of your workouts using GPS, check your stats, and reach your fitness goals. There is a free version or another premium with exclusive features. Reach your fitness goals & boost your running training with the free Runtastic GPS Running & Fitness app. Let us be your go-to fitness tracker (distance, time, speed, elevation, calories burned…) - for activities like running, jogging, biking & walking. It’s the best running app, walking app & running trainer for all your running routes – even marathon training! It’s like your personal walking tracker & running trainer. There is a free version and a PRO version with extra features. Millions of runners and cyclists use Strava to record their activities, compare performance over time, compete with their community, and share the photos, stories and highlights of their activities with friends. Very focus on cycling and passionate athletes. If you want to change type the new one and save it. There was an error updating the bib number. Try again later. Introduce a continuación tu contraseña actual y la contraseña nueva. Error intentando cambiarte la contraseña. Intentalo de nuevo en unos minutos. Go further with Runator Excellence! Taking part in this Global Race you will have the possibility to to get 30 FREE days of the monthly subscription to Runator Excellence. You will be able to throw customized duels, to sync your races whenever you want, to receive a monthly summary with all your statistics of the month, to create as groups as you want and to see the overall ranking of your country. If you are already registered in LaLiga | Run you can login to see and print your bib number, change the name on it or sync your running app. An error occurred. Try again in a few minutes. You did not join the race yet. Join now! Your registration is not completed yet. It might be that ypur payment is still being processed. Try again later and if still does not work contact us to solve the problem. Use this contact form to ask about any question you may have about the race. There was an error sending your message. Try again later. Thanks! We have received your message, we will answer as soon as we can.